Young writers with disabilities and collaborative groups that include students with disabilities, in the U.S. grades 6-12 (or equivalents) or ages 11-18 for non-U.S. students, are invited to explore the disability experience through the art of writing for performance—in the form of plays, screenplays, or music theater. Writers are encouraged to craft short (10 minute) works from their own experiences and observations in the style of realism, through the creation of fictional characters and settings, or writing metaphorically or abstractly about the disability experience. 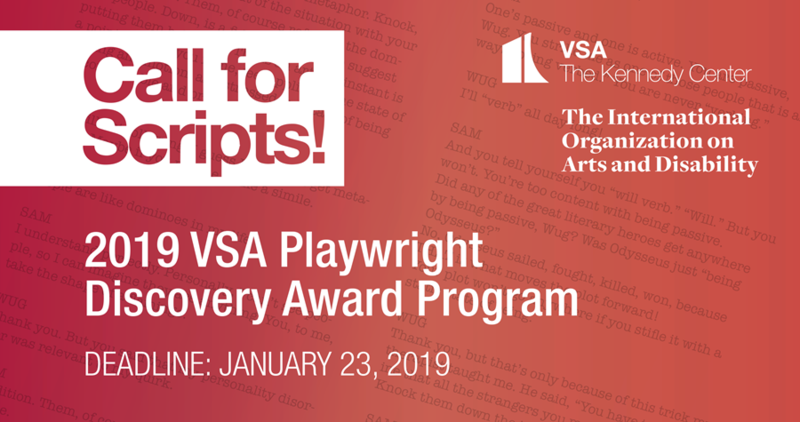 Learn more about the 2019 Playwright Discovery Award Program and how to apply.